...sorry for the bad joke... ^^"
We received applications for proofreading, which we are in dire need, but we cannot currently review them. To those who have applied: please be patient and thank you for your time. Wouldn't have reported this but it seems others are having the same problem. The star icon for the bookmark on the left has disappeared and the joke is not appearing. When I try to just go and read the chapter, the bookmark is just translating the manhwa description, not the actual chapter. Any ideas? Thanks for the new chapter! ...though yes, just a heads up, I am also having the same issue indicated in the previous comment. I've just checked with other chapters, and I think that Naver changed the structure of the website (checked with the kubera folks too; theirs seem to be okay). Lol. Considering the real conversation and the joke... it just makes me laugh. I've had a problem translating the page.I would appreciate it if the problem was fixed. Thanks! I think they mentioned before that if you click it and it doesnt translate it means they haven't translated that chapter yet. For me all chapters up to Season 3 chapter 39 have been translated. Thank you so much for translating the latest chapters. 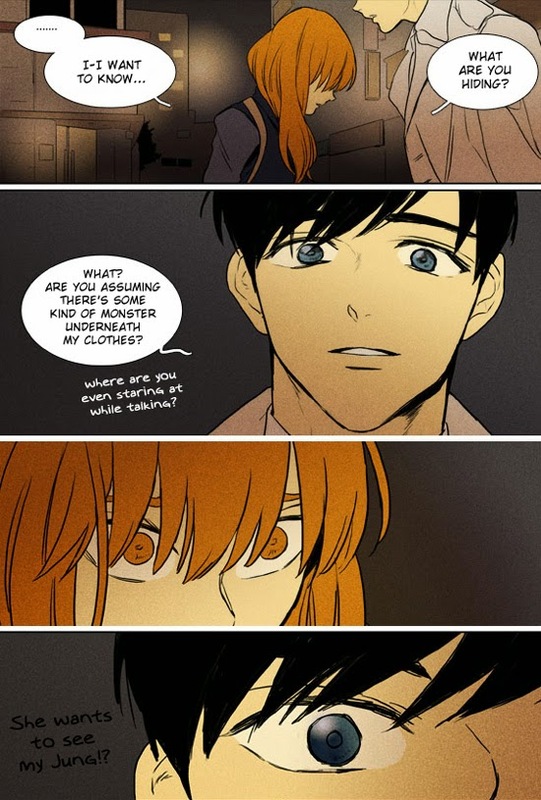 I love this webtoon. Thank yoy thankyou omgthankyou!! I was anticipating this chapter and it did not disappoint. Your translations are very good! Very fun to read for someone with American sensibilities (as opposed to the audience it was meant for). Thanks! ! guys i cant see any translation :S how are you read this in english?